We have modified the Zone/Paleo diet to include more Protein for Strength Training and to help satisfy the appetite. For Men we are recommending 150gm and Women 120gm of High Quality Protein Daily. This Modified Zone/Paleo Program is what we teach all of our new Hi-Lo Strength Training Clients. The overall principles are the same, Lean Protein Sources, Lots of Vegetables and Some Fruit, Omega 9 Fat sources and Lots and Lots of Omega 3! You won't be hungry and you will be eating lots of food!! Check out one of our Modified Zone/Paleo Nutrition Prescriptions designed to help you lose fat and gain muscle when used with our High Intensity Low Velocity Strength Training Program. 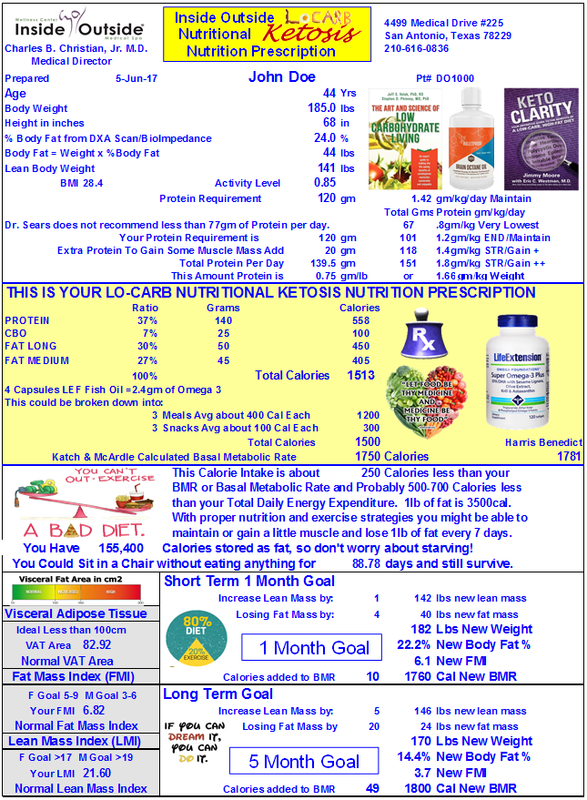 The Zone Diet or the Paleo Diet is what your long term approach should be! 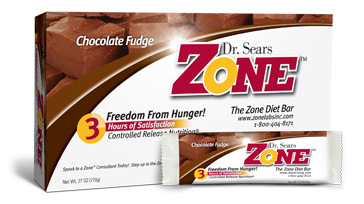 Dr. Sears trained me in the Zone Diet in the late 1990's and I went to a Paleo Dr. Cordain workshop soon after that. I still feel these are the most reasonable long term approaches to your Macro Nutrition Program. 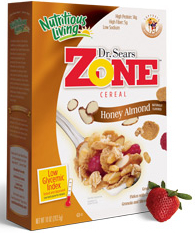 I recertified with Dr. Sears in 2007 in the Application of the Zone which he refers to as an "Anti-Inflammatory Diet. Dr. Christian is also knowledgeable in LoCarb, Nutritional Ketosis or Bulking strategies if these are of interest. Over the years I have evaluated and tried a variety of Micro Nutrition Products. These are often referred to as "Supplements" and it can be very confusing to Doctors, Nutritionists and the public as they try to make choices of these items. At least for now I have chosen to suggest Supplements primarily from the Life Extension Foundation and Transformation. 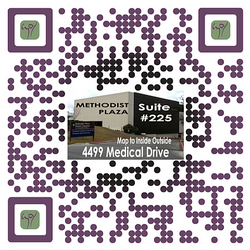 They have both been around for over 20 years and have a wide variety of quality products at reasonable prices. They do considerable research in the literature and document very well the data and rational for the products they have developed. You are urged to check out the links to the individual items. 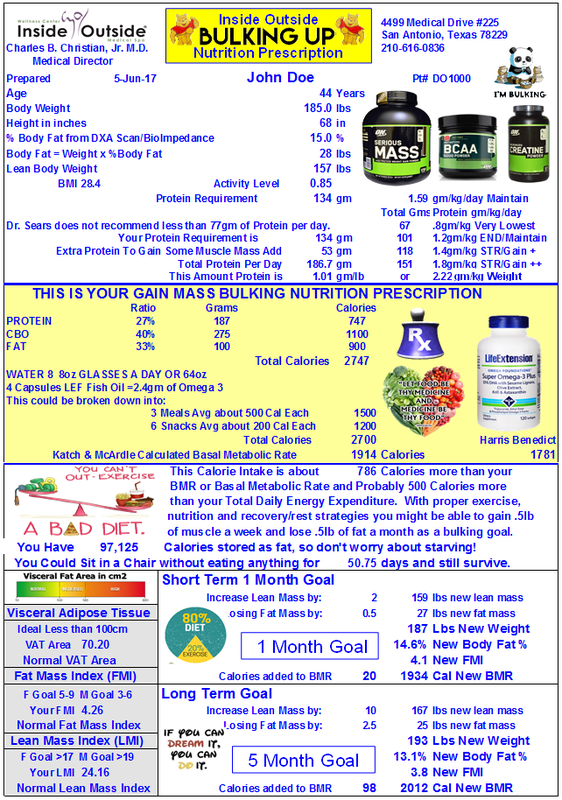 If any of our clients wish to discuss a particular "Supplement" not included on this page I will be glad to do so. 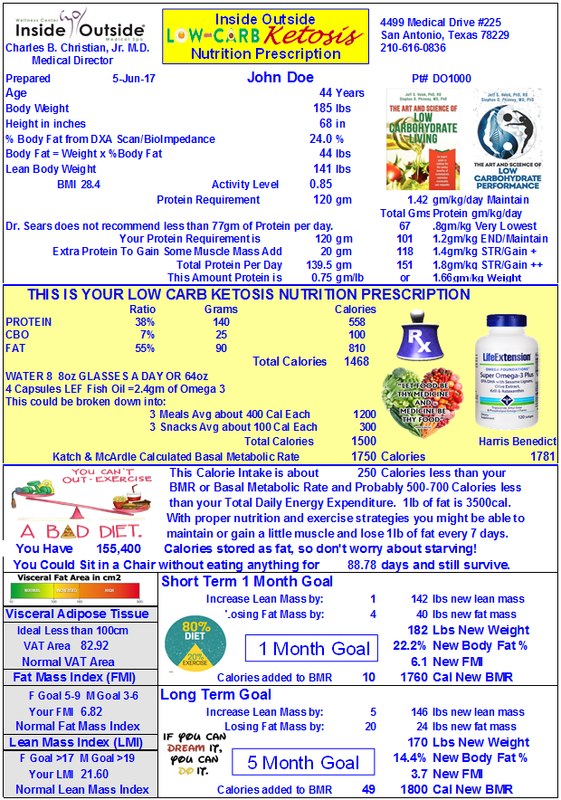 We do not promote or sell multi-level marketing products related to nutrition (shakes, bars, vitamins, alkaline water, immune), skin care, wellness or pain relief. 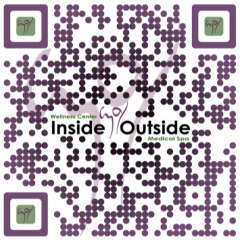 Inside Outside has wholesale accounts for the most of the products we have in stock. Our retail prices for most of these items are lower than the prices found on the internet or in stores. 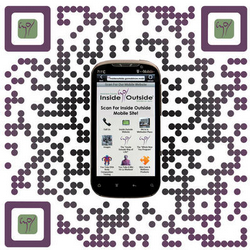 Some products we buy retail on Amazon and resell at our cost so to be conveniently available for our clients. The Basic 3 Products We Recommend, Do these first! Basic 3 Products, Omega-3 Fish Oil, Vitamin D3 and Vitamin C.
Item 01982 Life Extension Omega 3 with Olive Fruit Polyphenol Extract and Sesame Lignans. 120 Softgels. 1 Tsp Daily in protein shake or take it straight after a taste of lemon slice. Item 01758 Life Extension Vitamin D3 with Sea Iodine. 60 Capsules of 5000IU each. There is considerable evidence coming in almost daily about the value of larger than usually recommended doses of Vitamin D3. Item 0927 Vitamin C, 250 tablets 1000mg, with Dihydroquercetin a flavenoid antioxidant. The Dose is 1-2 tablets per day. Item 02001 Life Extension One or Two a Day. This is a fine Multivitamin, Mineral and other Micronutrient Formula. The Dose is 1 or 2 Tab per day. Item 00313 Life Extension Bone Up 240’s. A fine Calcium and Magnesium supplement, Contains Glucosamine. Contains K1 and K2. Dose is 4 Caps per day. 400mg #60. Maybe the most powerful anti-inflammatory available! I open 2 capsules and mix the contents with 1 tbsp of olive oil or MCT oil to improve absorption. Item 01927 MacuGuard with Lutein, Zeaxanthin and Astaxanthin. Powerful! Item 01438 Blueberry Extract with Pomegranate. Full Spectrum food based Polyphenols. Transformation Protease For Systemic absorption to reduce inflammation. 120 Capsules . 3 Capsules, 3 times a day on empty stomach. Life Plus Colon Formula. Contains Prebiotic soluble, insoluble fiber and Probiotics. A super, super Metamucil! Colon Formula is easy to use, a teaspoon in juice or in your daily protein shake. About $4.00 Lasts several months! 30 Capsules. Our Probiotic of choice. 42.5 Billion Beneficial bacteria cells! Our Digestive Enzyme of Choice. 120 Capsules. 1 capsule with each meal. 1 cup contains billions of beneficial bacteria. Tastes like buttermilk. Buy at Sprouts. Plus Protein!! Tons of beneficial bacteria with every serving! Buy at Sprouts. 1 cup every few days will do it! with BioPQQ 30 Softgels 1 Capsule Daily You need this if you are taking Statins such as Lipitor etc. Item 01786 Melatonin, 3mg, 6 hour timed release. Helps with sleep and also a powerful antioxidant. Precision crafted with a unique blend of protein, carbohydrate, fat, and specialized micronutrients for superior insulin control, OmegaZone Bars are unmatched in quality and performance. 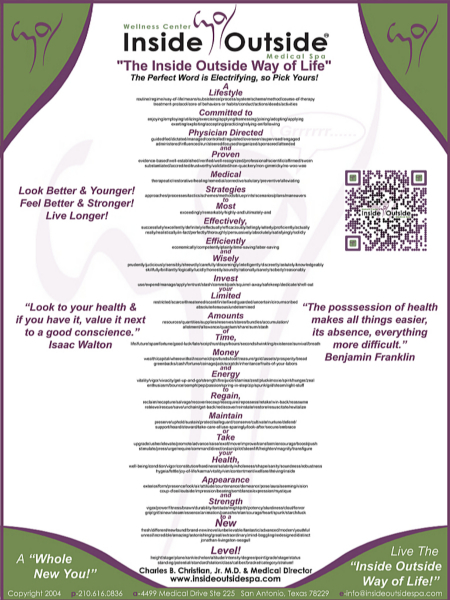 Dr. Sears’ name on the label is your guarantee of the best that nutrition science can deliver. See Details Here. 14 Gm of Protein Per 1/2 Cup Serving!! With 1/2 Pint Skim Milk equals only 250Calories!! Clients enjoy it. Great for a "Trail Mix Snack" Also. 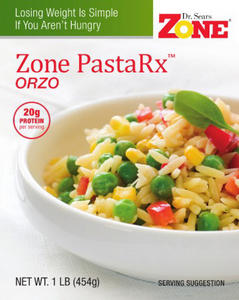 Dr. Sears has Introduced a pasta which is based on soy flour and is 30% protein. These can be purchased directly from his site. The Shudde Ranch in Sabinal, Texas was established in 1897. The Ranch produces premium beef from Longhorn cross calves. They market this beef directly to customers who want highly nutritious beef at a reasonable cost. Shudde Beef is one-owner beef, from pasture to plate, insuring high quality-control! Visit the Shudde Ranch here! In place of other oils, margarine, butter, shortening, etc. for all cooking needs, as it is a stable cooking oil. As an ingredient when juicing or making smoothies. It smells and tastes so pleasant and has such excellent nutritional properties that some also consume it straight, by the tablespoon, and use it in place of other oils on their salads. An excellent massage oil and as a skin lotion for healthier, younger skin. Great source for Flax Oil. Try the Garlic Chili Flax Oil on your salads!